Lupins are one of my favourite perennials, and these slate blue plants were grown from seed I gathered. They are happily flowering in Autumn from a Spring sowing. I'd usually associate lupins flowering with the early summer garden. 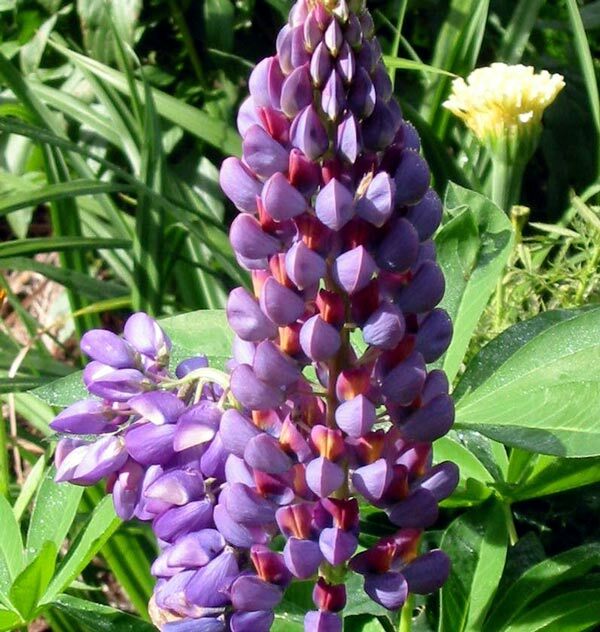 Lupins are short lived perennials, so every year I sow new plants. I've never before produced such a great colour though. As well as the blue I have some well established patches of pink Russell Lupins - and many colour shades in-between. Russell lupins are a tall variety. I propagate new plants by taking cuttings from the base of the plant in early spring, and by collecting seed and growing new plants in my glass house. 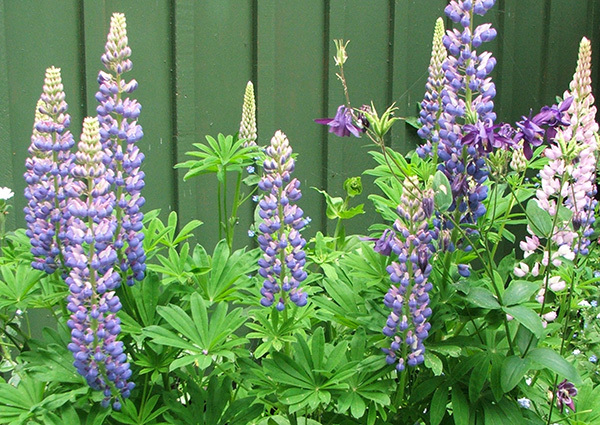 Lupins are the easiest of plants to find good neighbours for - and when not flowering their foliage is quite beautiful. 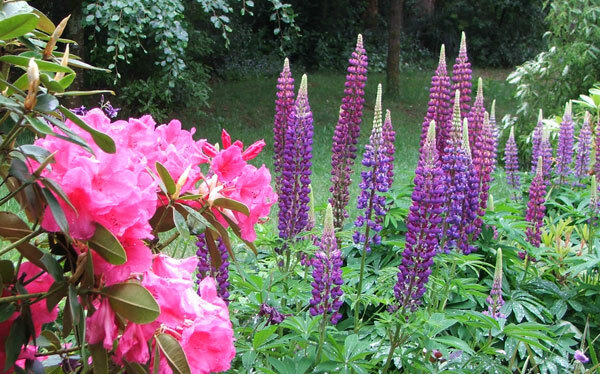 It will always be debatable whether lupins should be included in an annuals or perennials section of a garden book or a garden website. If you follow the link above you'll see I've decided to hedge my bets!